MAKAYLA Oxygen Bubble Mask is an easy to use facial mask! Dab a small amount on your face & wait for it to work its magic! As the bubble rises, take your own sweet time while the mask penetrates, revitalizes & unclogs your pores. The mask is perfect for all skin types! - Handbag and Clutch Friendly. You can carry it anywhere, anytime! 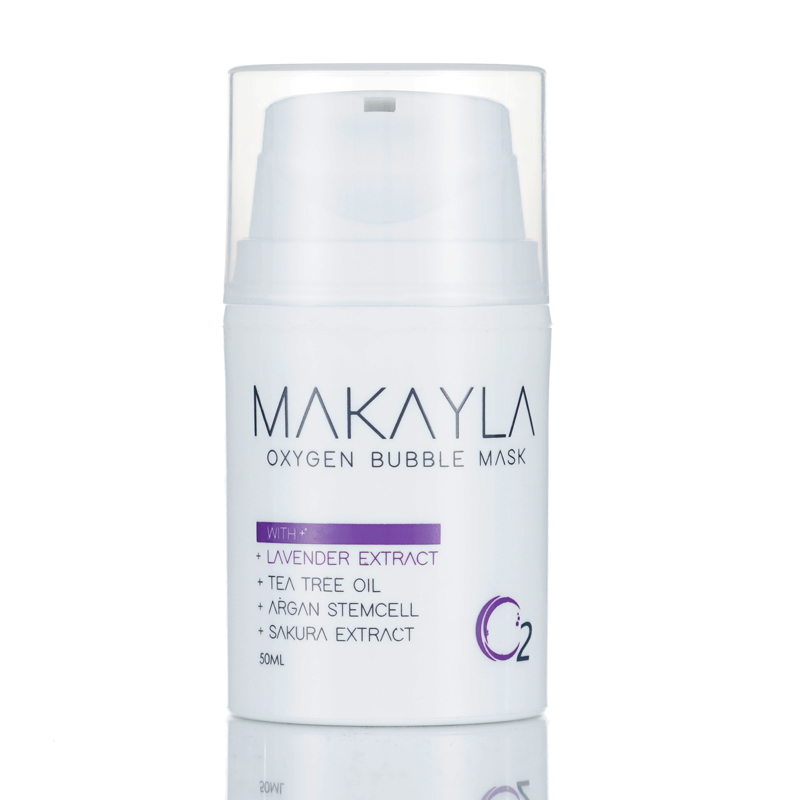 Makayla Oxygen Bubble Mask with Lavender Extract, Tea Tree Oil, Argan Stemcell and Sakura Extract are specially formulated to give you the benefits of the following. RO WATER, TINOVIS, TEA, GLYCERIN, ASCOBIC ACID (VIT C), ARGAN STEM CELL, APPLE STEM CELL, SAKURA EXTRACT, ISCAGUARD, LAVENDER EXTRACT, TEA TREE OIL.